Tina, we salute you opened in 2009 and was one of London’s first antipodean-style ”third wave’ coffee shops – the name is a homage to a kitsch painting of Tina which still hangs proudly above the counter. 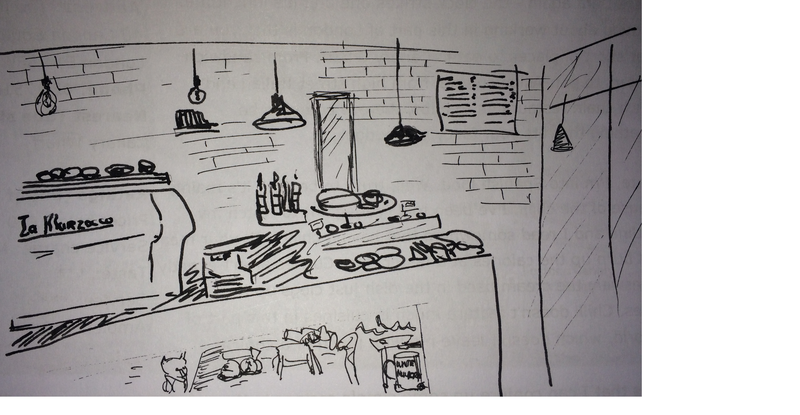 The cafe is small and cosy with a focus on quality coffee and rustic breakfast food. They originally used Square Mile beans but recently started using Alchemy who are a roastery based near Wimbledon that specialise in Guatemalan coffee. 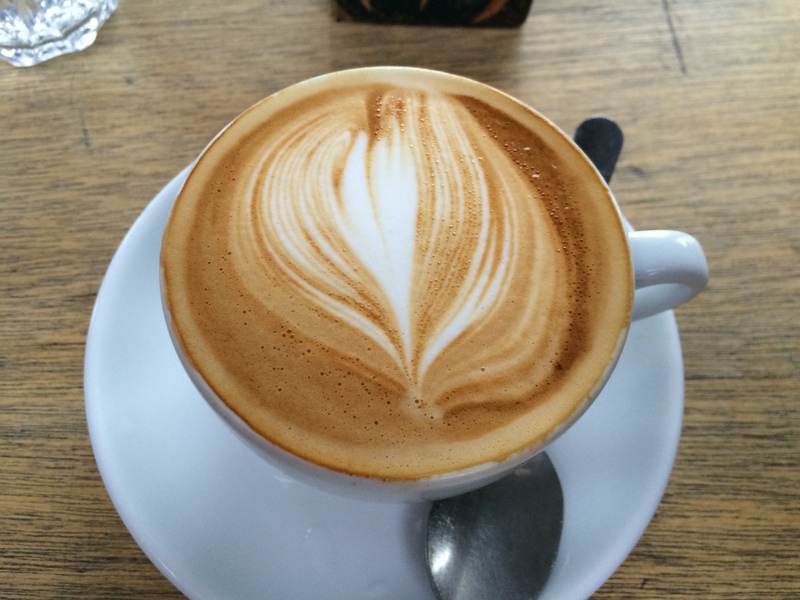 The milk treatment on my flat white was good – it had a silky texture and nice creaminess. They are currently using Alchemy’s opus blend which is composed of beans mainly sourced from El Socorro farm in the mountains outside Guatemala City. 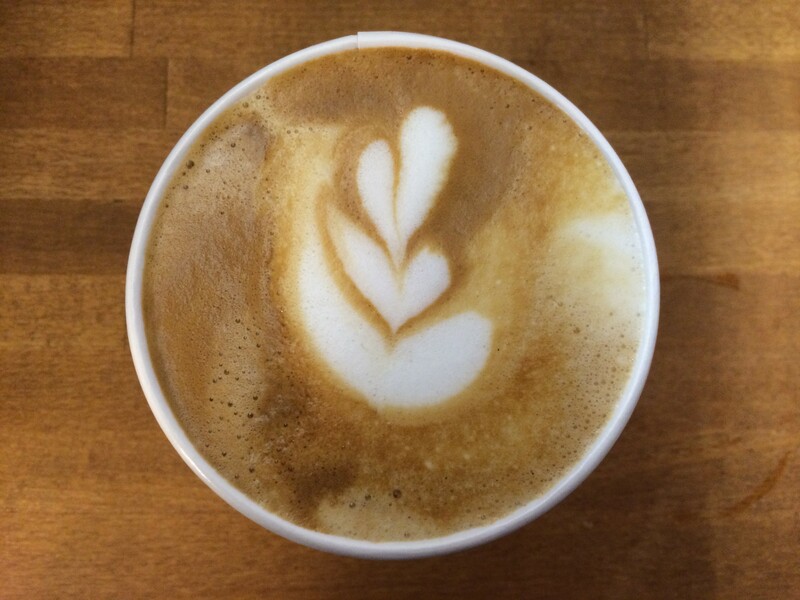 The espresso was nutty with hints of berries and combined perfectly with the milk. An oasis of calm amidst the shopping hell of Oxford Street, the newest Workshop outlet opened last month. They have dubbed it a “coffeebar” and it is probably geared at takeaway customers but there is space to sit down (for about 15-20 so I think it might get rather crowded). The cafe has two grinders, one offering Workshop’s bog standard cult of done espresso and the other is used for seasonal blends. I had my flat white with a single origin Rwandan coffee which was full of red berry fruits with a strawberry jam finish – truly wonderful. The milk treatment was perfect: soft, smooth and creamy. F Mondays opened just before Christmas in a still insalubrious part of Brixton about 10 minutes’ walk south from the tube station. They have gutted a former estate agents office and created a beautiful, bright space which can seat around 25. Their coffee comes from Alchemy roasters and they have been using the elixir blend which utilises Ethiopian, Guatemalan and Costa Rican beans. The latte art on my flat white was messy but the milk treatment was reasonable (although it had been slightly over-steamed). I really enjoyed the espresso which was citrusy with a touch of peach and stood up well to the milk. 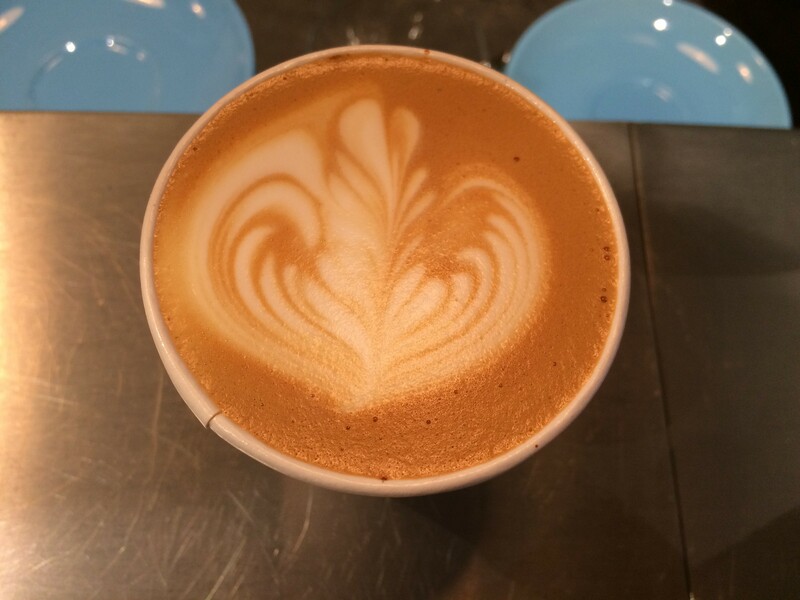 A good flat white. 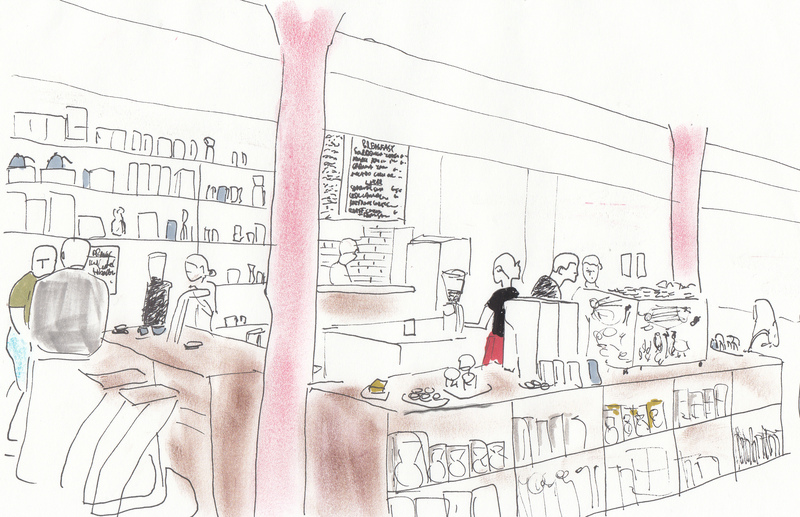 A hidden gem amidst Hackney Wick’s assorted timber merchants, abandoned industrial estates and faceless yuppie new builds, The Counter is a little cafe/art shop/gallery a short walk from the overground station and overlooking the canal. They roast their own beans to produce a blend called Warehouse – the espresso is light and fruity, and ideal for milk based coffees. 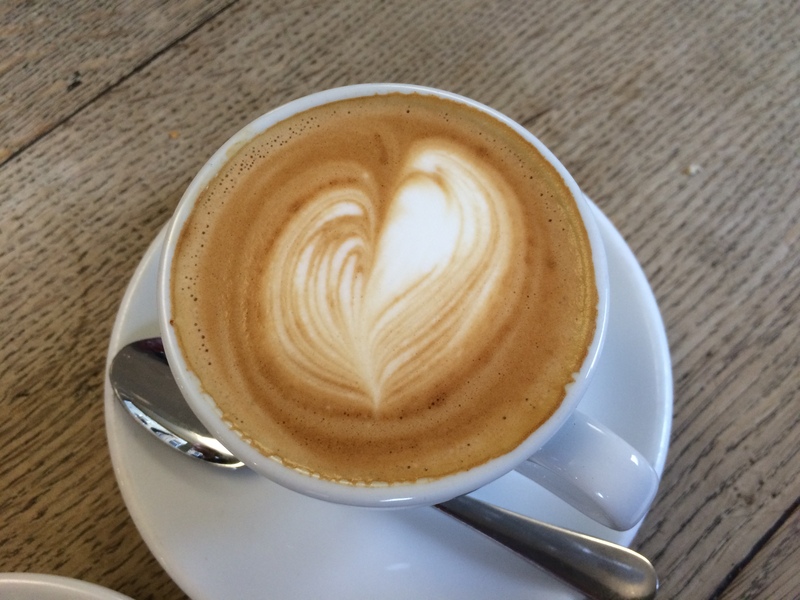 Unfortunately the milk treatment on my flat white was a bit sloppy and I think the milk had been overheated; the latte art was poor – it seemed like my coffee had been prepared by a barista in training – I would like to go back and see if their execution is better next time. They offer a range of brunch food, including french toast, bagels and salads, and their Mumbai eggs have received a lot of good reviews. A hipster and art school kids’ enclave just off the main road in rough as old boots New Cross, The London Particular was opened a few years ago by chef Becky Davy. They focus on fresh, healthy, and generally vegetarian food, but also serve decent coffee which they source from H. R. Higgins, an old school coffee roastery in Mayfair. My flat white was served nice and hot, with slightly scrappy latte art but decent milk treatment. The espresso was medium bodied and uncomplicated but worked well with the milk. My coffee was trumped by my lunch of fantastic celeriac fritters, spinach and a snappy horseradish cream. 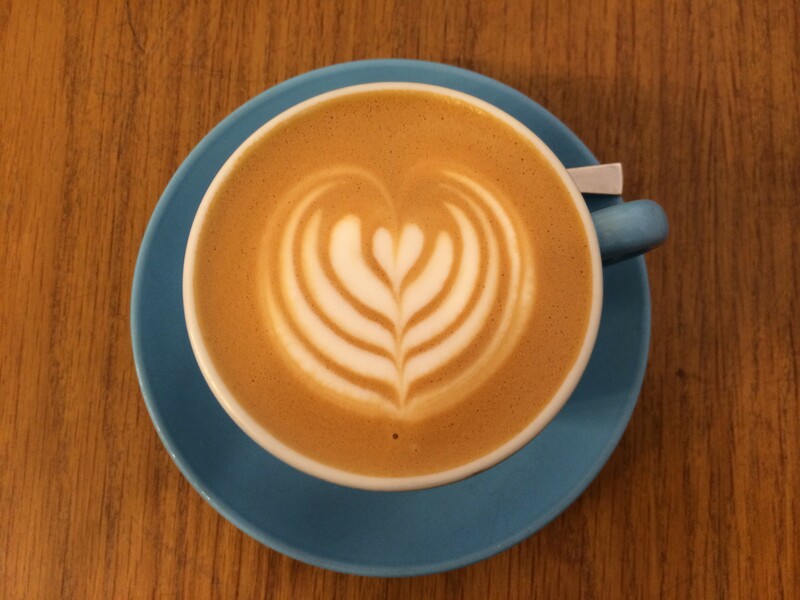 Flat White opened in 2005 and led the wave of antipodean immigrants into the London coffee scene. I was expecting great things given its provenance and the score of 5/5 in the Picky Glutton’s flat white round-up, but I was disappointed with my coffee. 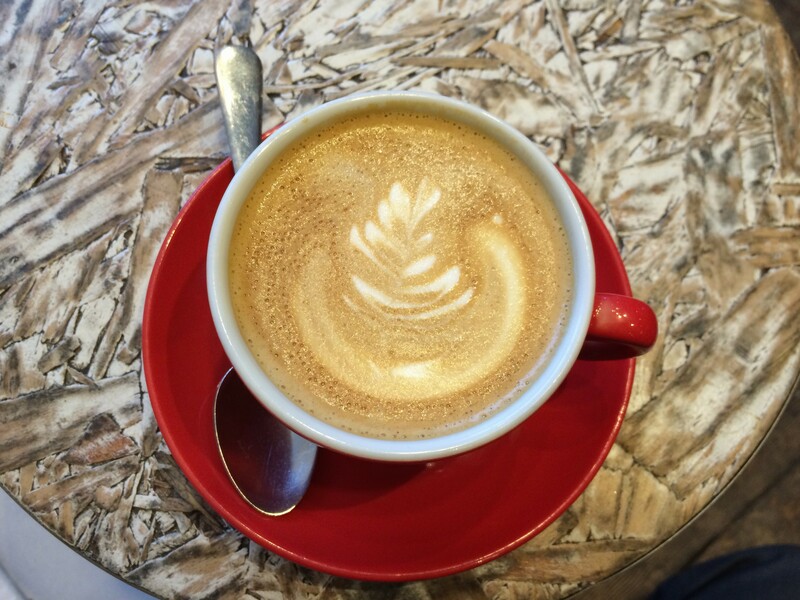 They only had Square Mile’s red brick espresso on offer when we visited (they don’t do guest espressos) and the resulting flat white was a tad weak, with fruity undertones and hints of milk chocolate. The milk was slightly separated and I think it had been over foamed. 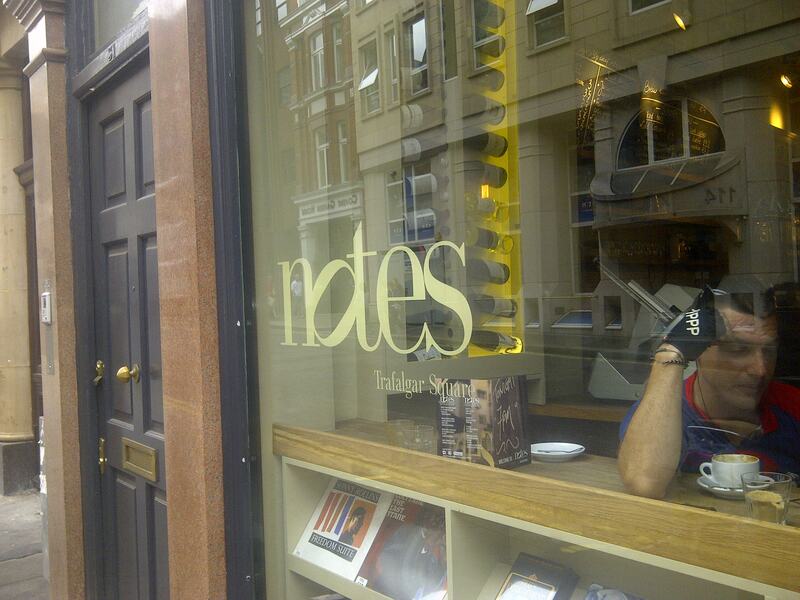 Notes have three locations in London, including one near Trafalgar Square and they opened their own roastery in the summer of 2013. The Covent Garden shop is a few minutes’ walk from the market square and is an oasis of calm away from the chaos of the surrounding shopping streets. They offer a small range of cooked breakfast options and have a handful of post-breakfast dishes including braised pork shoulder (£8) and salmon fishcakes (£7.5). I chose the La Esperanza espresso for my flat white which is a washed coffee from Huehuetenango in the Guatemalan highlands. 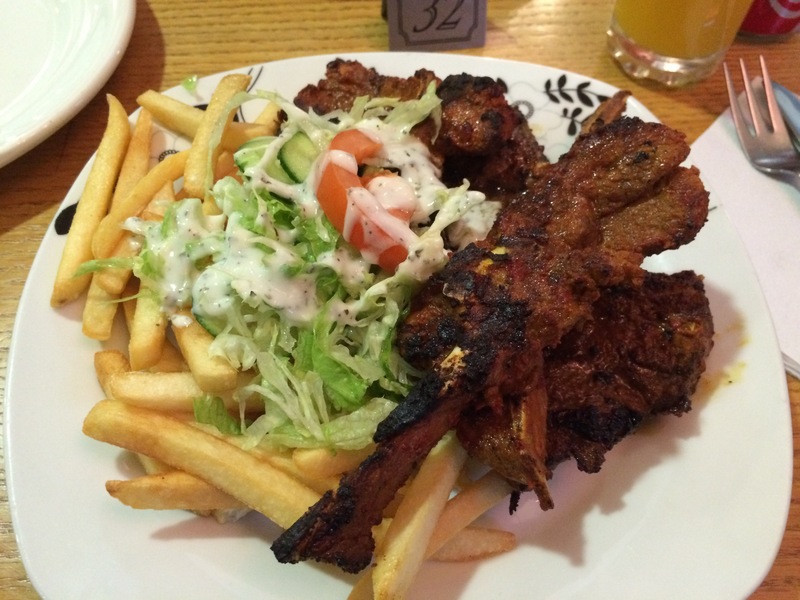 The milk treatment was good – the microfoam had a velvety finish and a near perfect texture. The espresso was a light roast and worked gently through the milk, with honeycomb and milk chocolate coming to the fore. 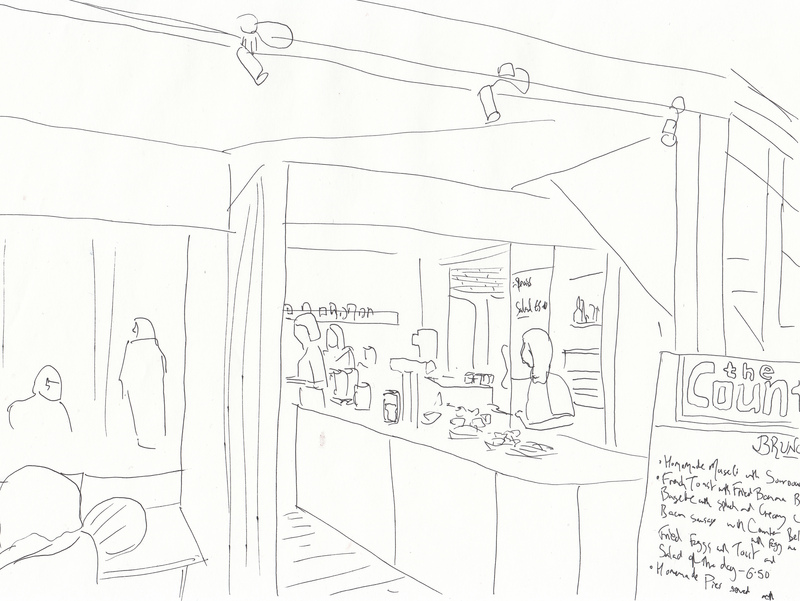 Dose is a little espresso bar a couple of minutes’ walk from Barbican tube. 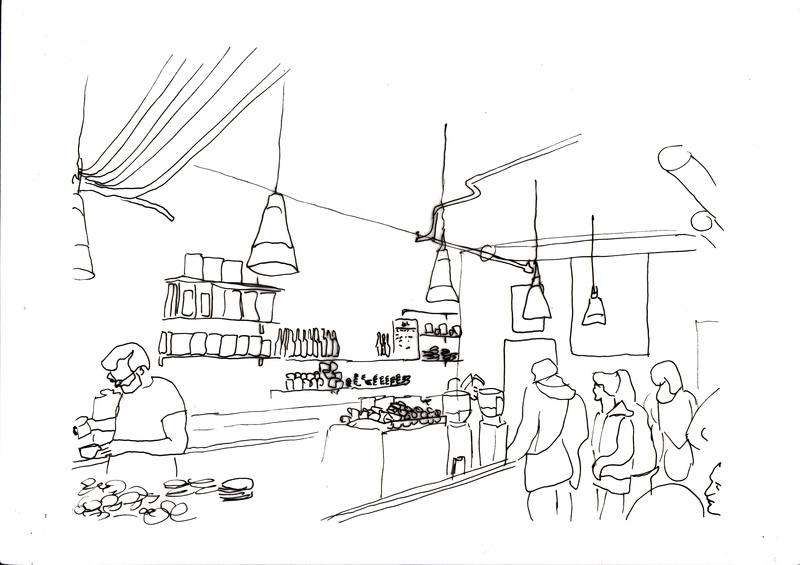 It is a kiwi-run relative veteran of the London coffee scene, having opened in 2009. 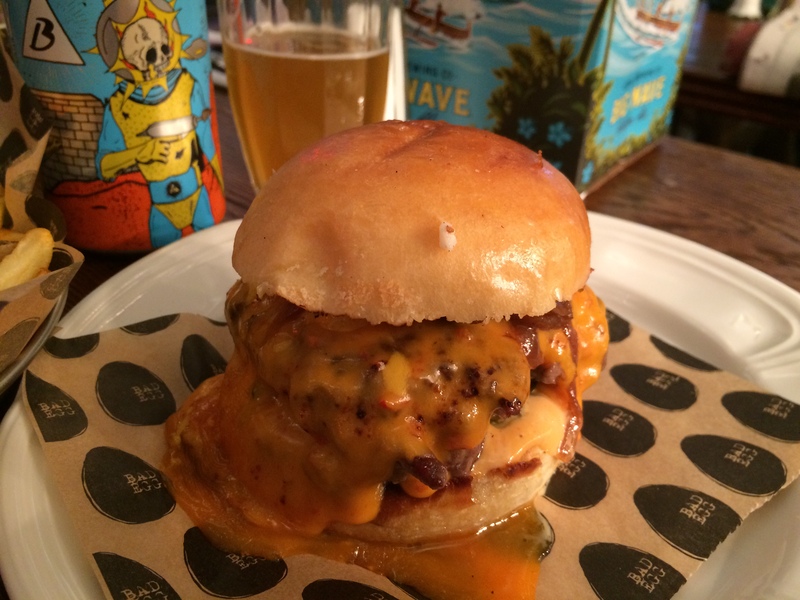 The space is small, with a couple of tables and lots of hard surfaces, so not recommended for lingering but they do a roaring take away trade. They use Square Mile coffee but have recently moved away from Red Brick and have been getting special single origin roasts – on my visit they were using espresso from the Salaca estate in Costa Rica. The microfoam in my flat white was piping hot, thick and creamy; the espresso was light, with hints of apricot and a buttery finish. Allpress is an antipodean mini-chain which is very serious about coffee – they started in New Zealand and quickly expanded to Australia before making the bold move to London in 2010. Some of the Auckland and Sydney staff moved over to set up the roastery and Allpress has been at the top of London’s coffee tree ever since. Their roaster shares the same space as the cafe and you can see/smell it in action three times a week. 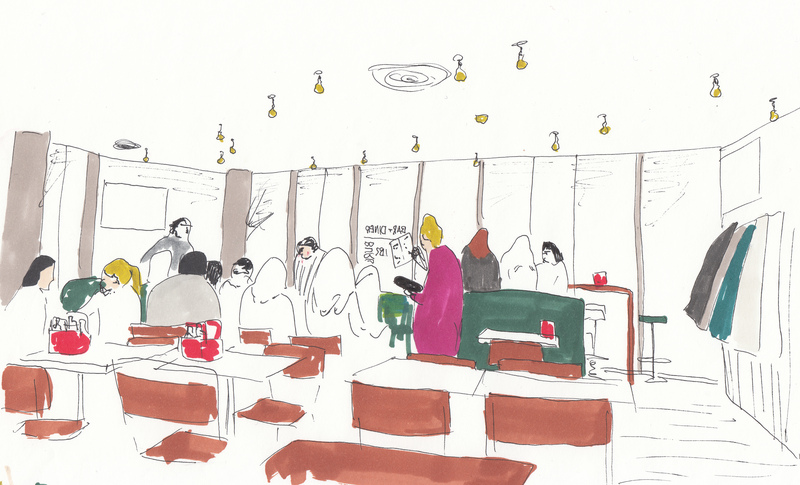 We went along on a Sunday morning and the cafe was very busy but because a large chunk of customers were having take away coffee and we only had to wait a few minutes for a free table. 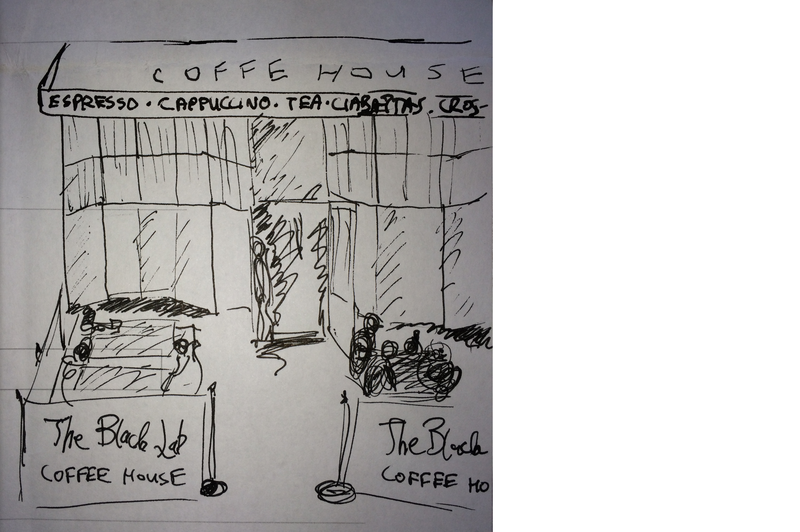 They have a range of beans which can be bought for home use but the cafe only uses one espresso at a time – we had the Redchurch blend, which is made up of a mix of Brazilian, Colombian, Guatemalan and Sumatran beans. Apparently the espresso was a medium roast, but it tasted very light to me – the coffee lacked character and did not speak through the milk in my flat white, I think they should be using a darker roast for their milk based coffees. 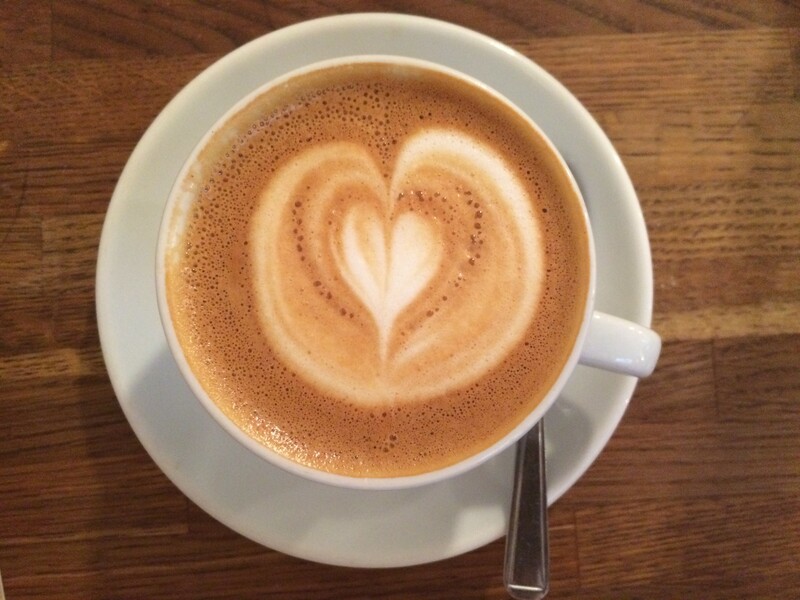 Prufrock coffee is on the bustling Leather Lane a few minutes’ walk from Chancery Lane tube. The interior is light, high ceilinged and has the feel of a converted workshop or factory. They use mostly Square Mile Coffee with Red Brick as their everyday espresso blend and a range of guest espressos: on my visit they had two guest Ethiopian blends – Reko and Sweetshop which is made of 50% Reko and 50% naturally produced Wonago (ie with the beans being dried in the sun rather than being washed). 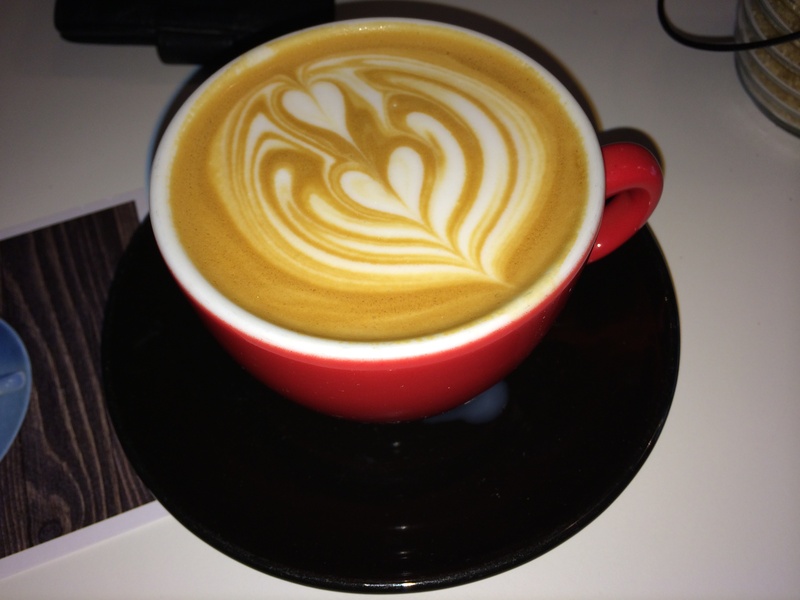 My flat white was adorned with well crafted latte art and the milk treatment very good, with soft and silky microfoam. 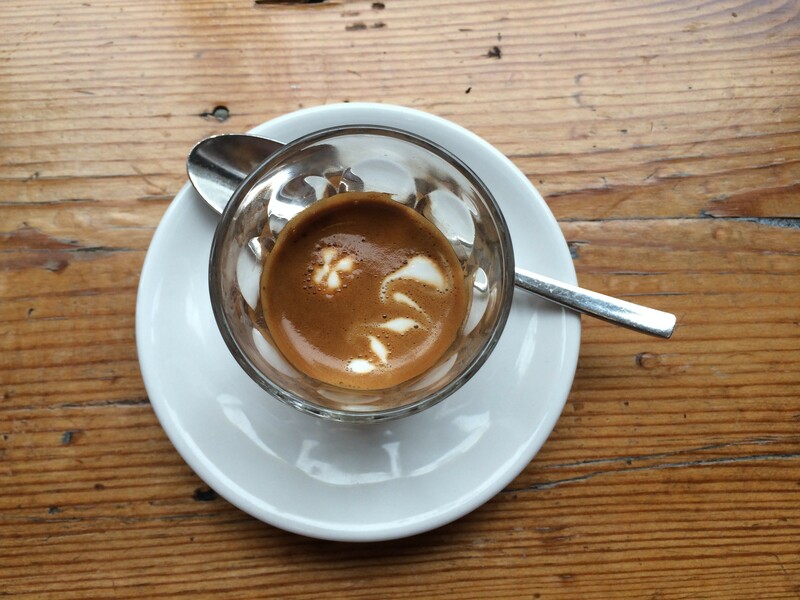 The sweetshop espresso spoke clearly through the milk with dark berries and hints of prune, lifted by citrusy overtones. 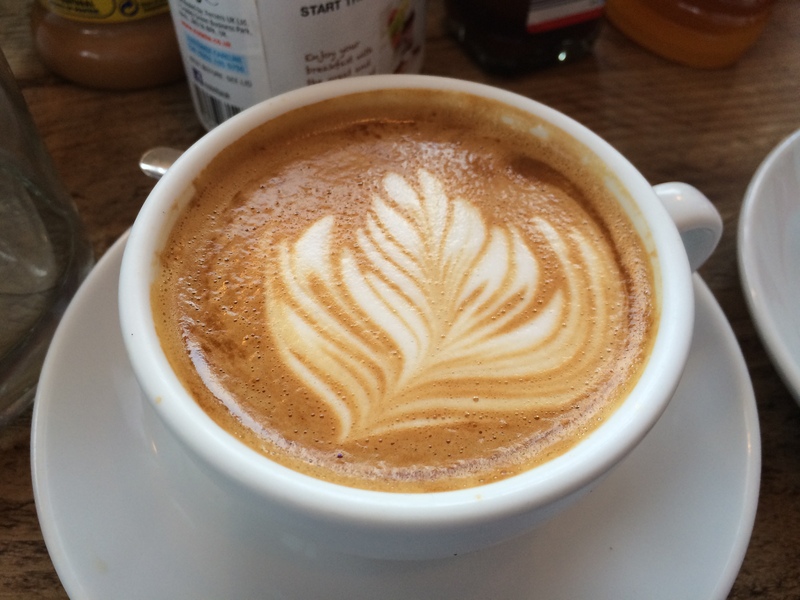 I agree with the Picky Glutton’s 5 star review of Prufrock’s flat white, this is one of London’s best. Speakeasy is from the Dept. 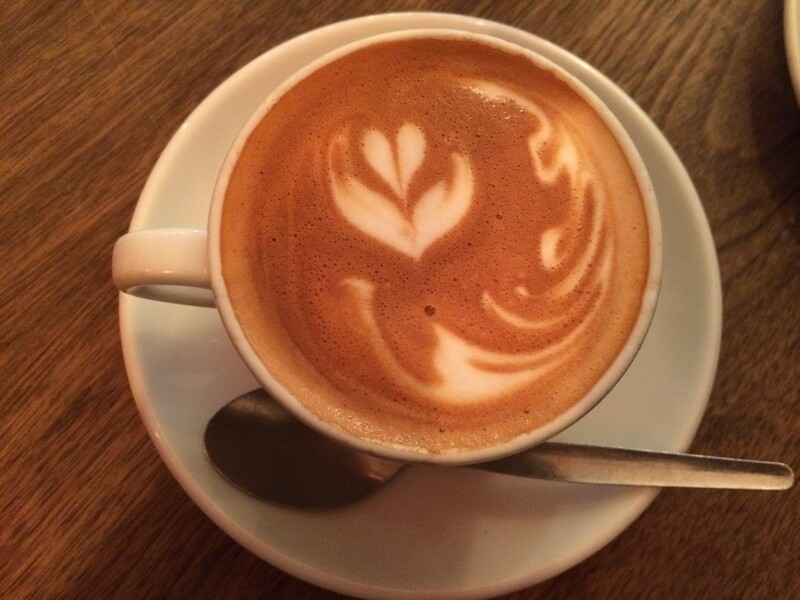 of Coffee and Social Affairs stable and is an oasis of calm away from the crowds of Carnaby Street. Their house espresso comes from the Coffesmiths collective, the brainchild of a couple of London based Kiwi coffee geeks – they sample hundreds of single estate coffees to create their own blends. Speakeasy also have a range of guest espressos and on my visit I couldn’t resist trying the wonderful The Earl’s Mistress again. 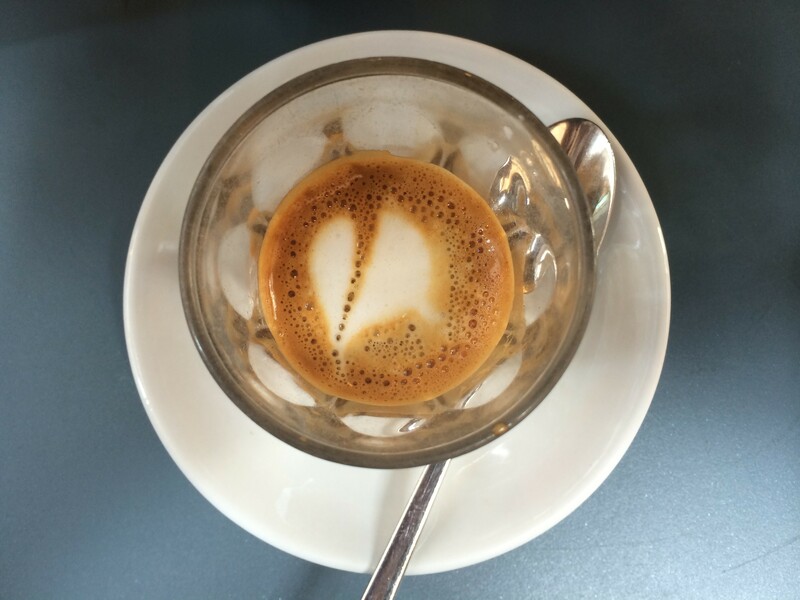 I opted for a macchiato – the coating of milk softened the deep grapefruit and grenadine notes of the powerful espresso, a wonderful coffee. 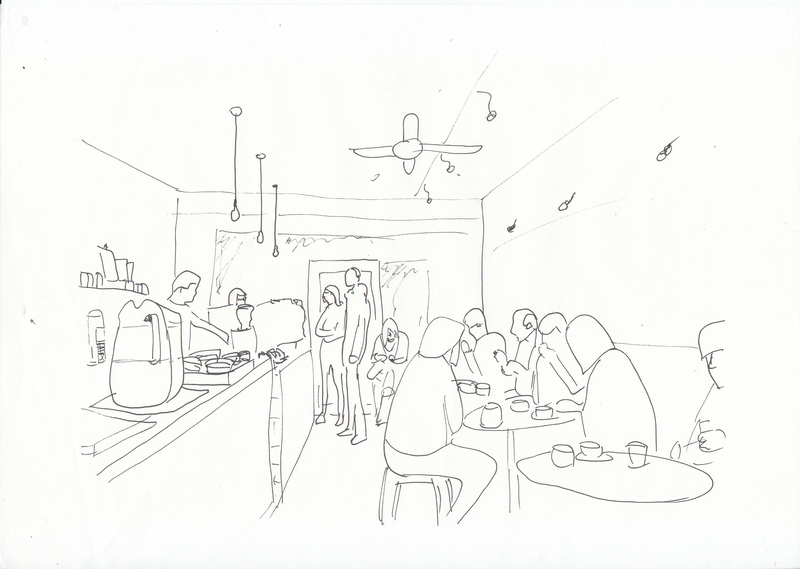 LongShot is a third wave coffee shop situated on a quiet street about 5 minutes’ walk from Aldgate East station. They use Climpson for their Espresso – the house blend is The Baron arabica made up of 44% Bolivian, 40% Brazilian, 13% Mexican and 3% Ethiopian beans. They also offer Monmouth coffee via aeropress and are planning to introduce a guest espresso. The milk treatment on my flat white was decent and the espresso was subtle and chocolatey, with only a subtle caffeine hit. Definitely worth a visit. 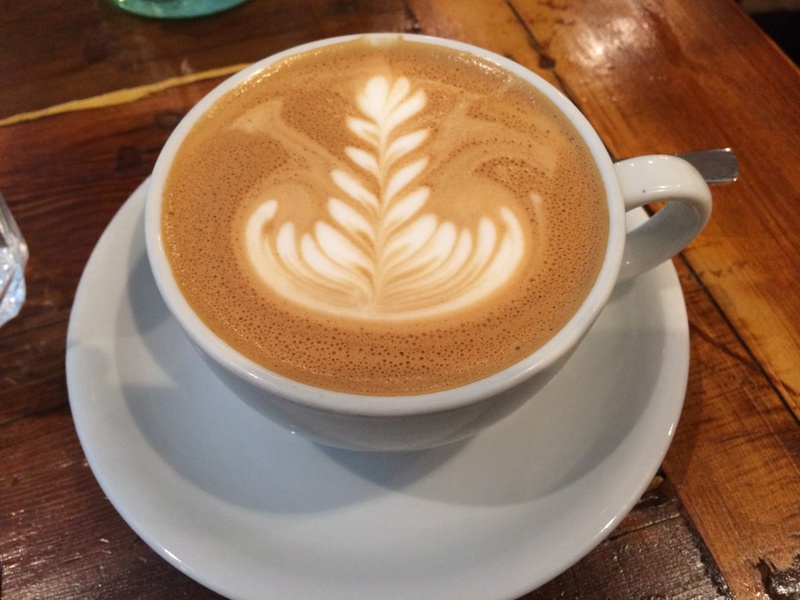 In spite of the terrible name, they serve outstanding coffee at TDoCaSA. 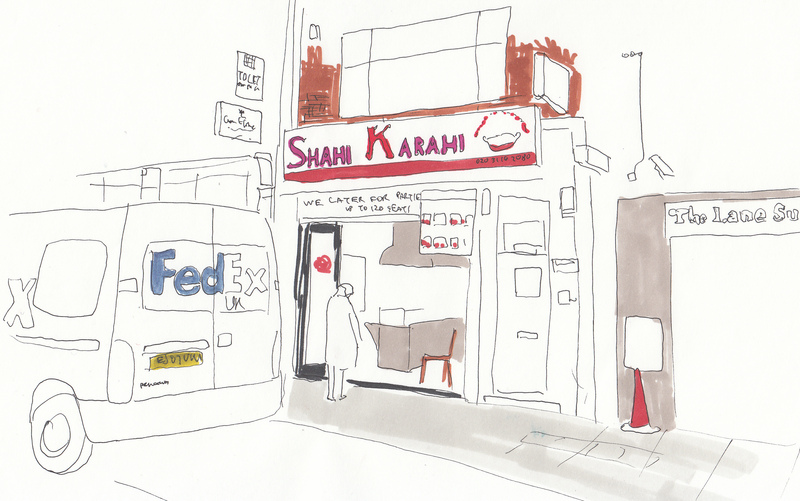 I went to their original branch on Leather Lane for a pre-work pick me up and was served with a truly beautiful macchiato. The espresso came from Gedeo in Ethiopia and was called “The Earl’s mistress” due to it’s distinctive bergamot orange nose and dry tannic aftertaste. It was extremely unusual (though possibly an acquired taste) but I would highly recommend trying this (and please drink it in espresso/machiato form before you add extra water or milk which will dull it’s unique flavour). 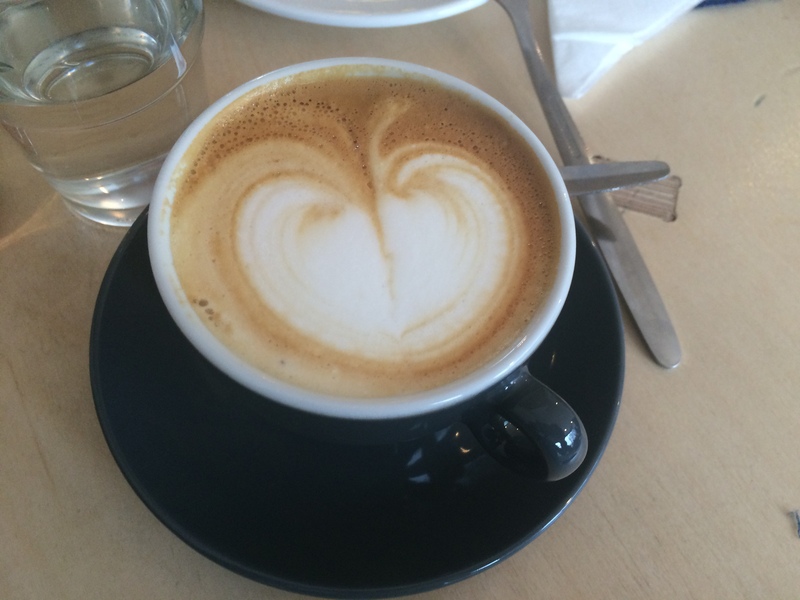 Certainly the best macchiato I have had in London. 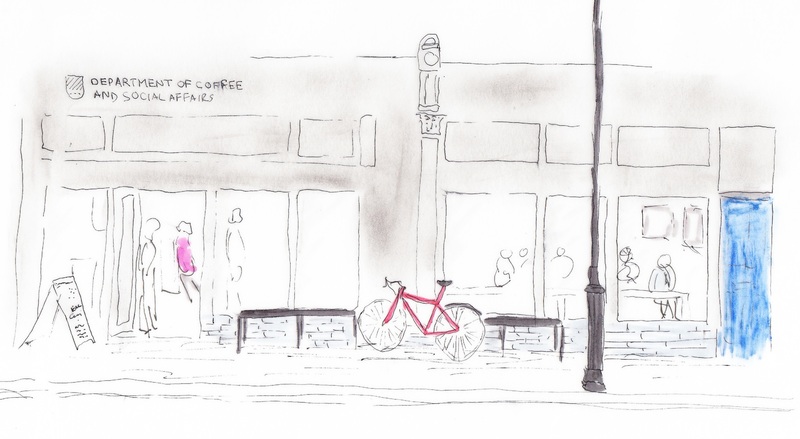 Rapha is an upmarket cycling brand (readers in London will probably have seen riders wearing their black jerseys with pink flashes on the road) and it’s flagship store has an attaching cafe. They screen live cycling throughout the season and along with Look Mum No Hands! this is one of the best places in London to watch a race and drink good quality coffee. 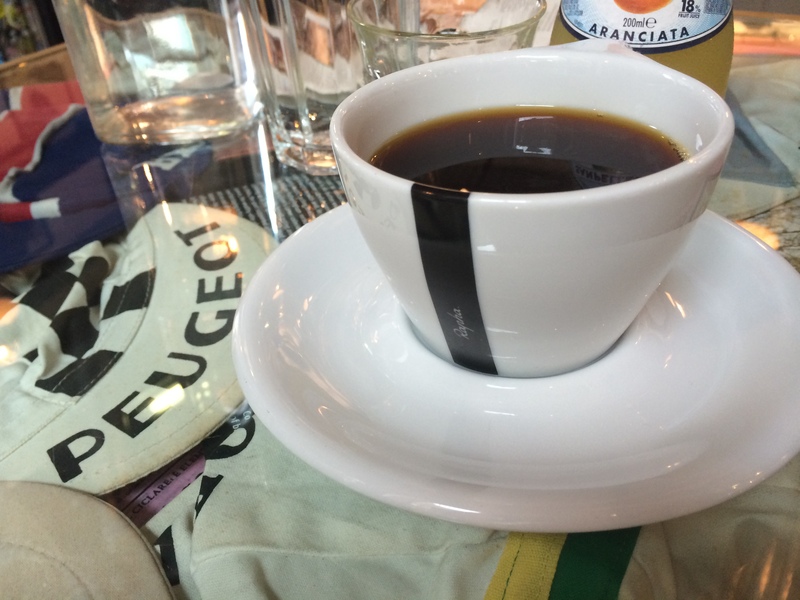 They source their beans from Workshop and treat them well – I opted for a long black made with Cult of Done espresso (a mix of two thirds Ethiopian and one third El Salvador single estate robusta). The resulting cup was citrusy and light, very drinkable, but with only a subtle caffeine hit. 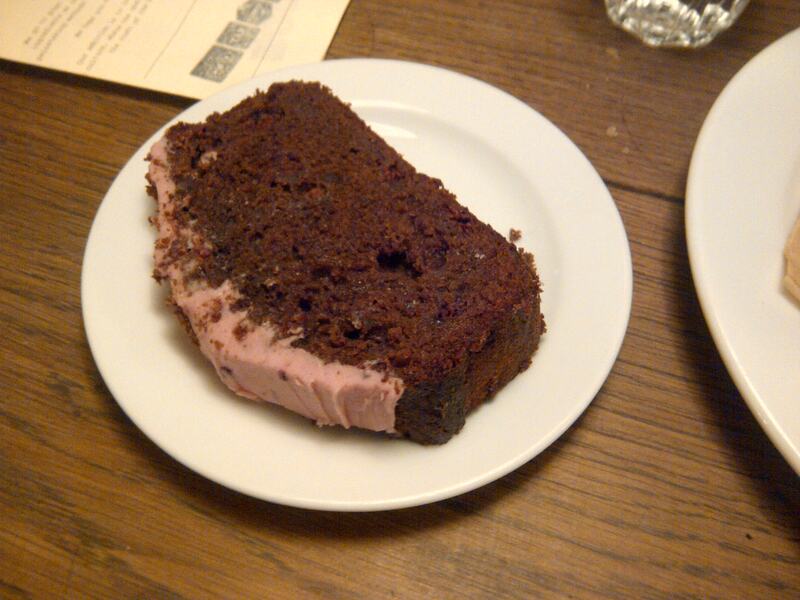 They do a limited range of food and baking which is aimed at fueling the legs with carbs and calories. The menu is split into three: “pre-ride” sandwiches & eggs, “on the bike” rice cakes & granola, “post-ride” tuna on rye & minestrone. I had an unremarkable ham and parmesan sourdough sandwich and if you visit I would recommend sticking to the coffee. Good coffee is surprisingly hard to find in the City generally, and especially around Bank, but Taylor Street Baristas is a real gem amongst the pebbles. 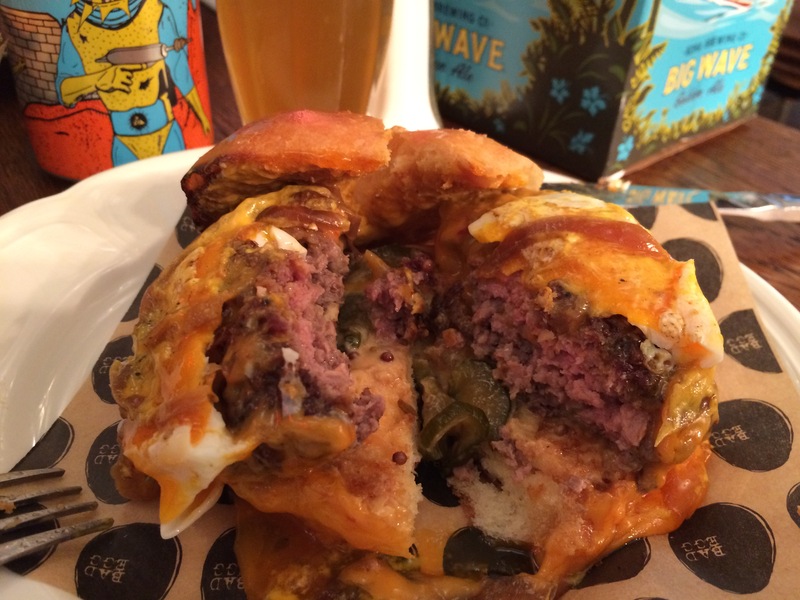 Started by a couple of Aussies, they now have 9 branches spread across the Square Mile, Canary Wharf and Shoreditch. Their coffee is sourced via Union Hand Roasted who work directly with coffee farmers in an attempt to bypass big business supply networks. The Bank branch has table service and the staff place customers at tables; the decor is all wood and mismatched furniture, but manages to achieve both character and comfort. The espresso used in my flat white was sourced from Central America and was initially zesty, but with rich chocolate undertones. The milk treatment was reasonable but unfortunately it was served cold. Overall, my flat white was not as good as the equivalent at Association coffee but it is still the best coffee within walking distance of Bank. A stone’s throw from Trafalgar Square, Notes is a bright, stylish cafe that also serves cakes and sandwiches. 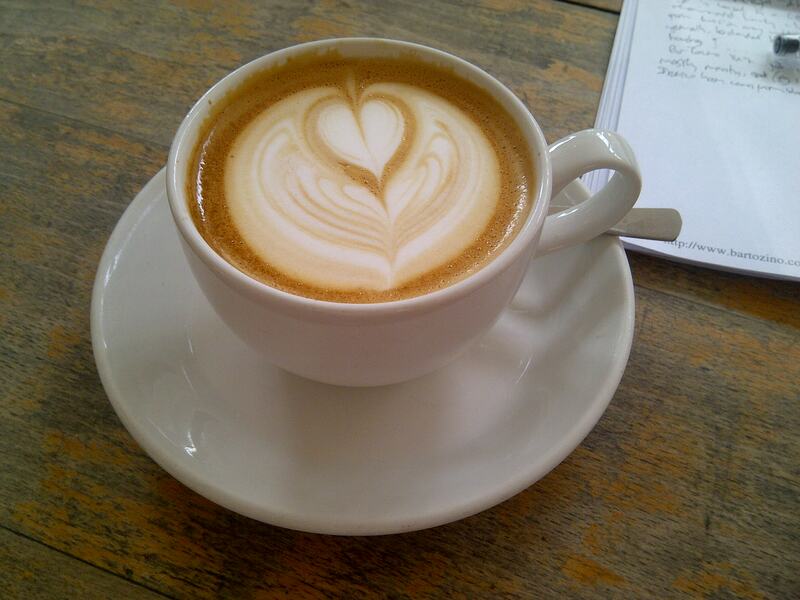 They use Square Mile coffee (who supply Prufrock and Association coffee) and treat it very well. 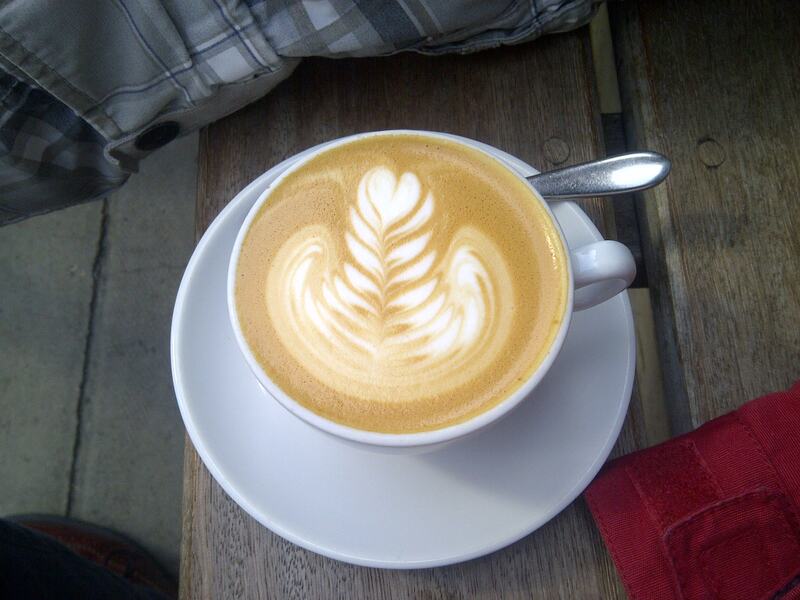 My flat white was adorned with beautiful latte art and the milk treatment was very good with extremely silky microfoam. The espresso was decent but not astounding and would probably not taste great without milk. 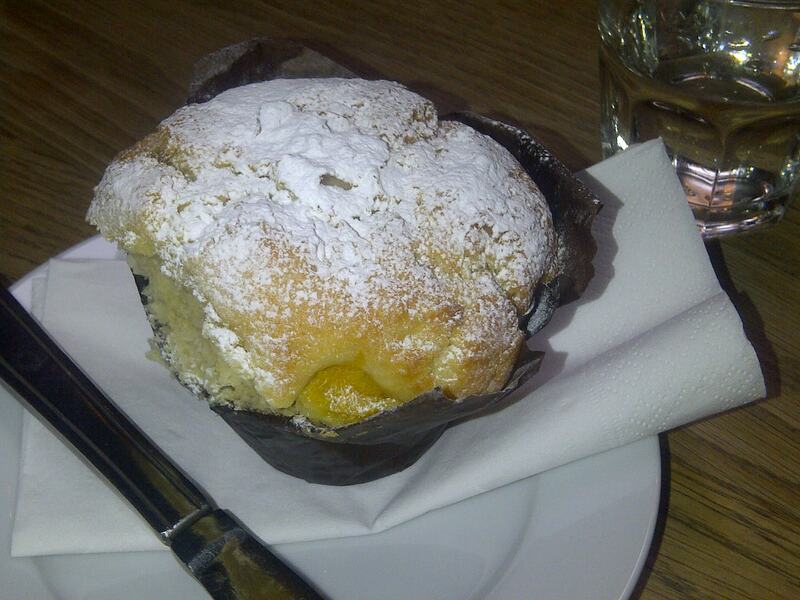 I also had a muffin which was stale, doughy and tasteless – I do not recommend their baking. 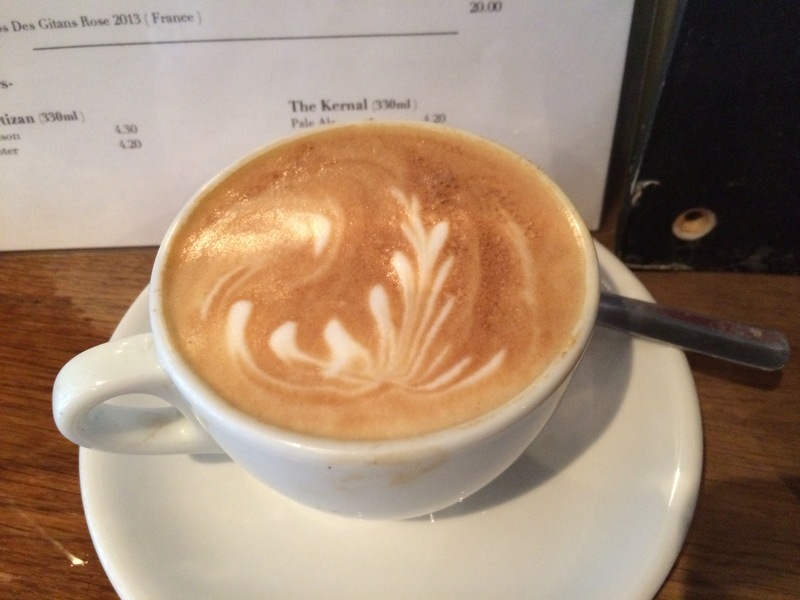 They have coffee tasting evenings and jazz nights every fortnight. 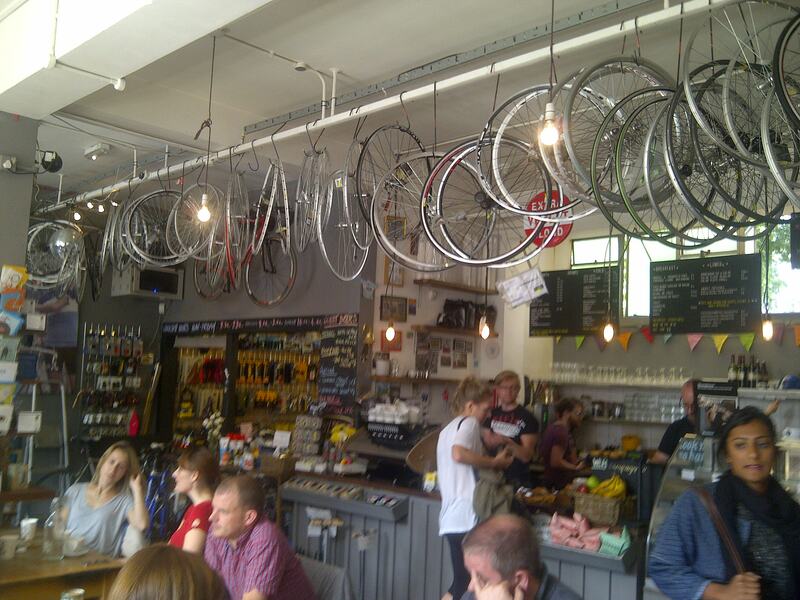 Look Mum was one of London’s first cycle cafes – it combines a working bicycle repair shop with a cafe bar. 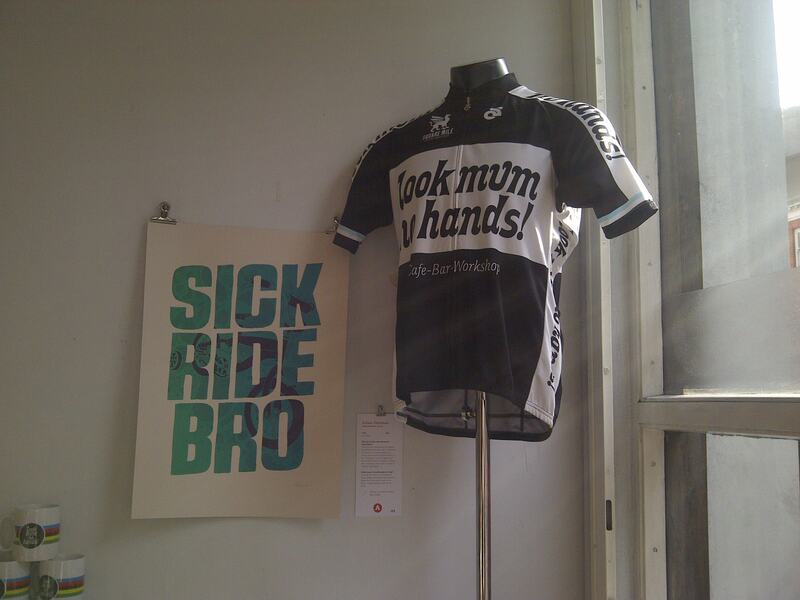 This is a place for bicycle lovers: they show live cycling throughout the season, you can buy cycling prints, biographies and even branded cycling jerseys. 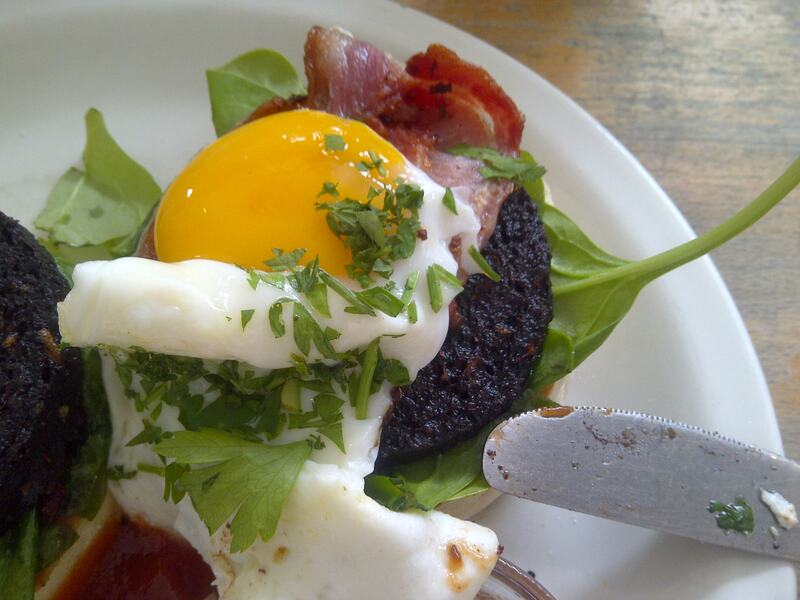 They also do great brunch food – my black pudding with eggs and spinach was freshly prepared with good quality ingredients. 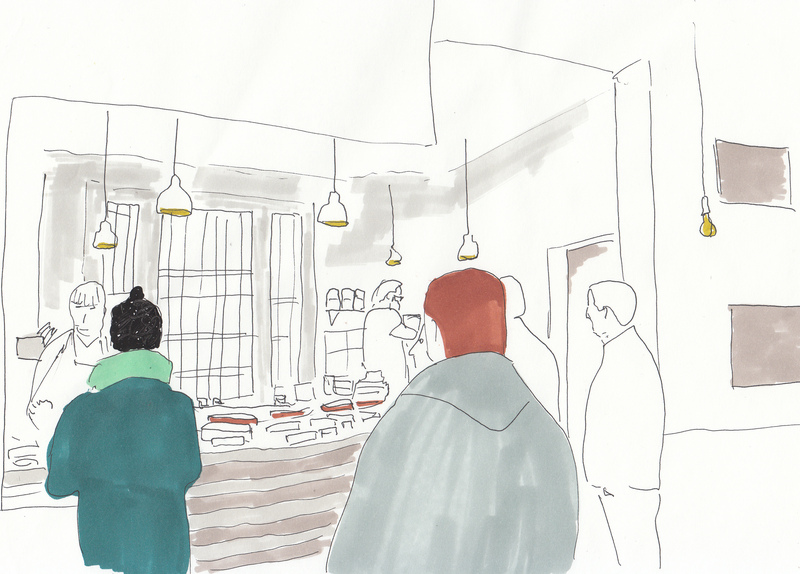 Their coffee comes from Square Mile and they use the bog standard Red Brick for milk based coffees. My flat white was unremarkable – it was served lukewarm and the milk had been over-frothed so it did not integrate fully with the coffee. The espresso was light and citrusy and would have been a great partner to a properly prepared microfoam. 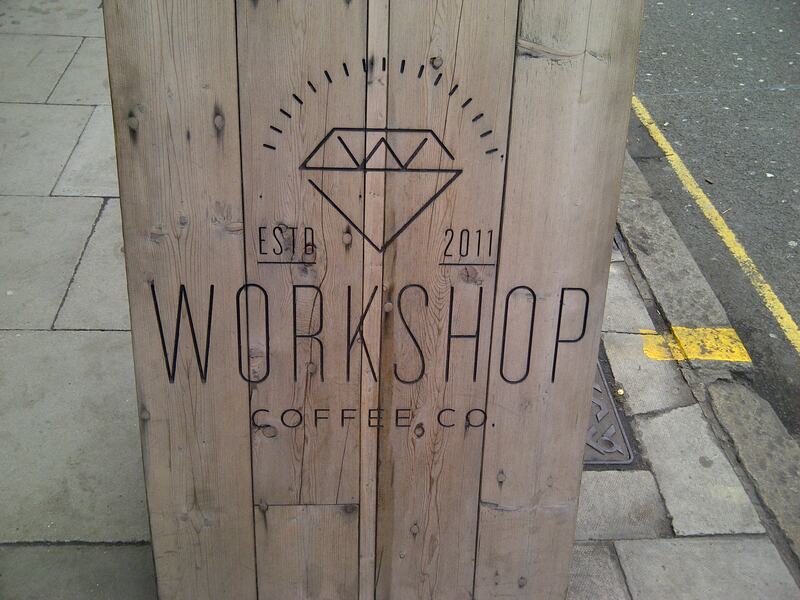 Workshop roast their own beans and supply many of London’s independent coffee shops. The interior is slick, metropolitan with polished wood and exposed brick. 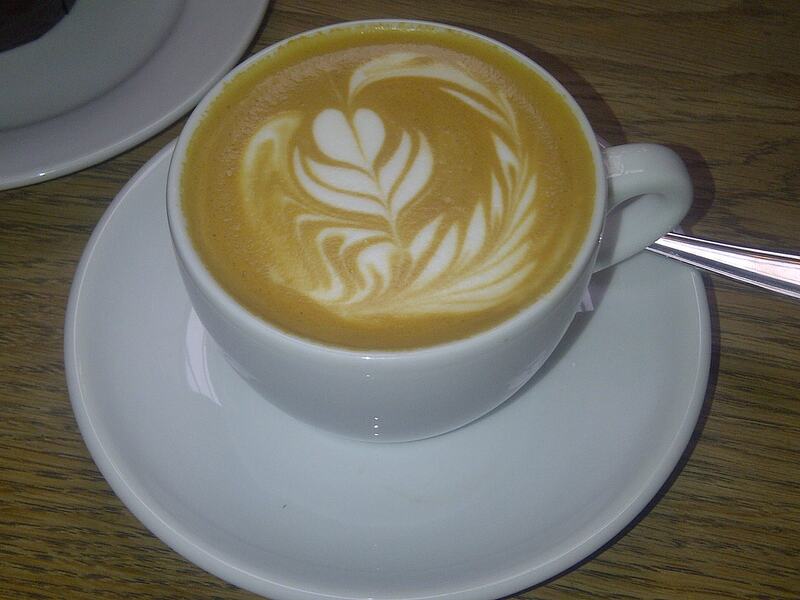 My flat white had wonderful milk treatment – the microfoam was very creamy and beautifully integrated with the coffee. The espresso had bags of dark chocolate and hints of sherry and raisins – uncomplicated, but perfect for a milk-based coffee. 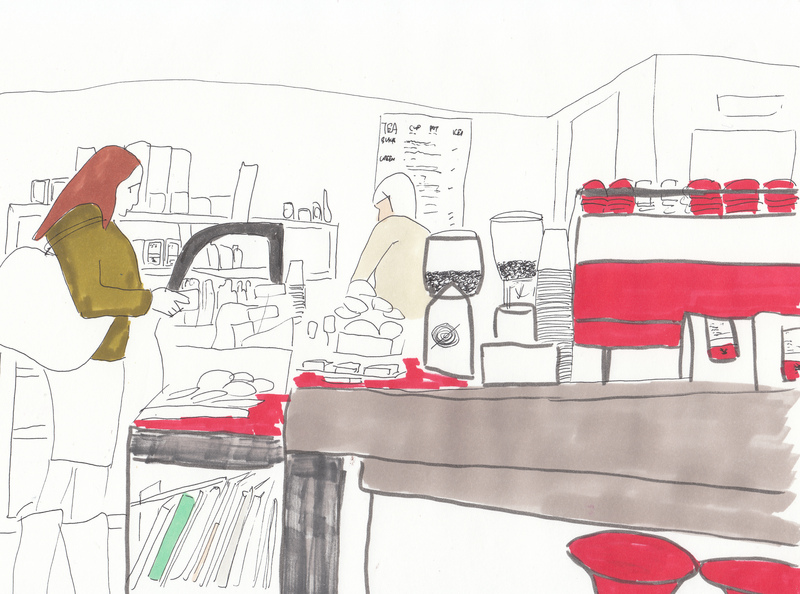 For me, Workshop serves the best coffee in London. The east side of the square mile has a dearth of decent coffee shops which is odd given the long working hours and high caffeine requirement of the local bankers, brokers and barrow boys. For good coffee I would recommend stepping outside of the city and heading for White Mulberries next to Tower Bridge in St Katharine docks. They use Allpress coffee and also have a range of guest roasts. The shop is right next to the docks and has outside seating with a great view of the moored yachts. My flat white was served piping hot and the milk treatment was very good – the espresso was quite a dark roast and stood up well to the creaminess of the milk. 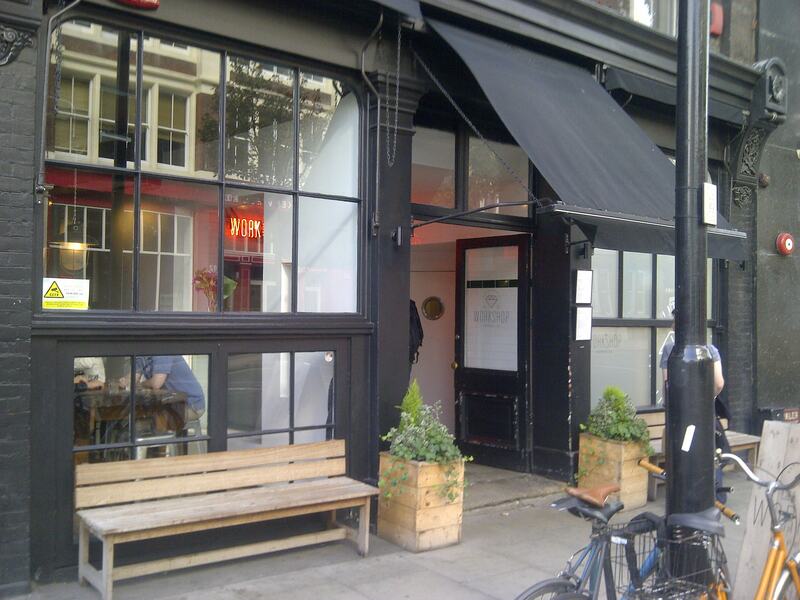 Just about the only Clapham entry in the London Coffee Guide, Black Lab has been open since 2010. 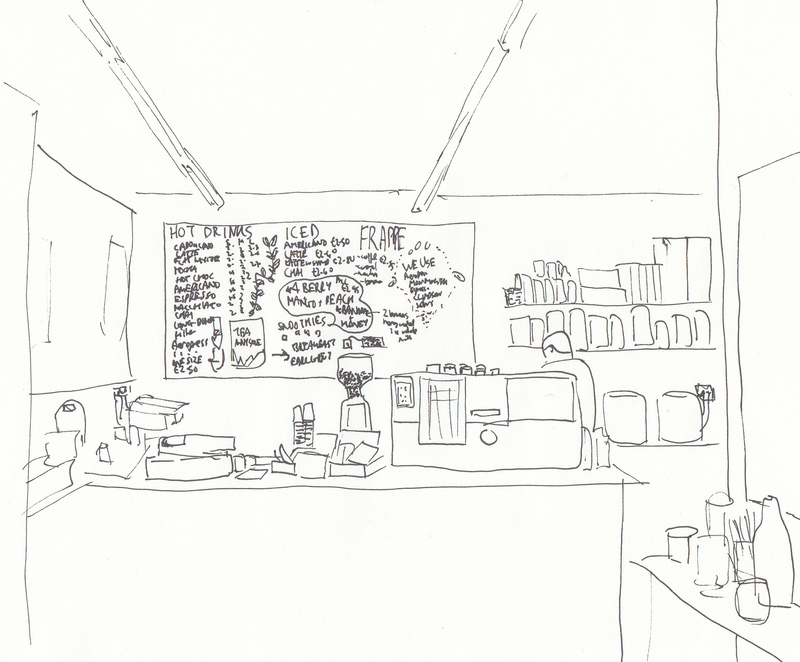 The owners (a couple of Aussies) source their coffee from Climpson & Sons of Hackney and treat it with antipodean care. 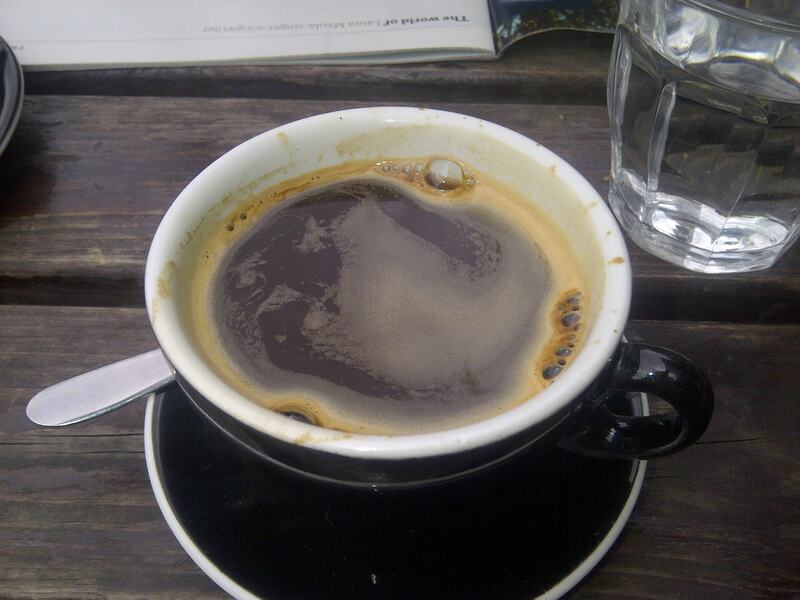 My long black was citrusy and fresh, a bit soft for my taste but certainly well treated. 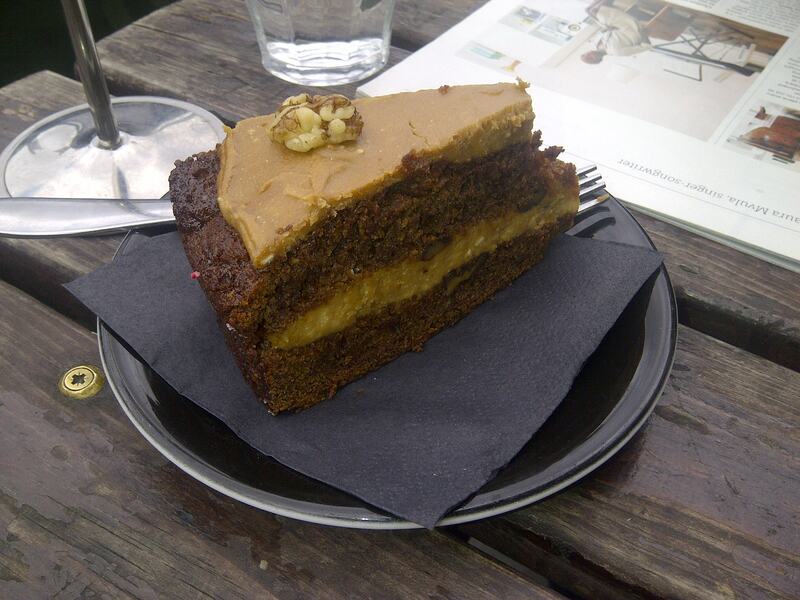 I also had a decent coffee and walnut cake (I think they are from Konditor & Cook) which was fresh and light. 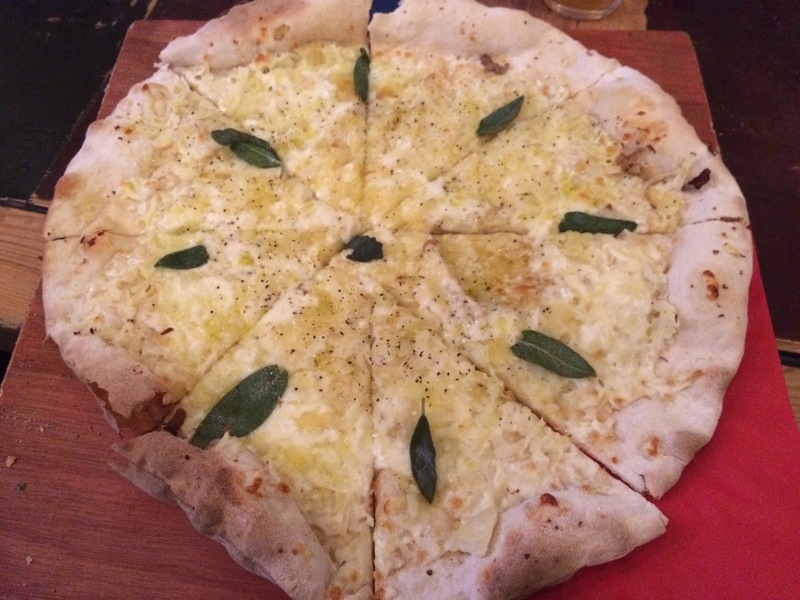 The original branch of the Tap chain is still the best; situated opposite Lima on a Fitzrovian backstreet, the interior is stylishly unkempt and the house roasted coffee exquisite. 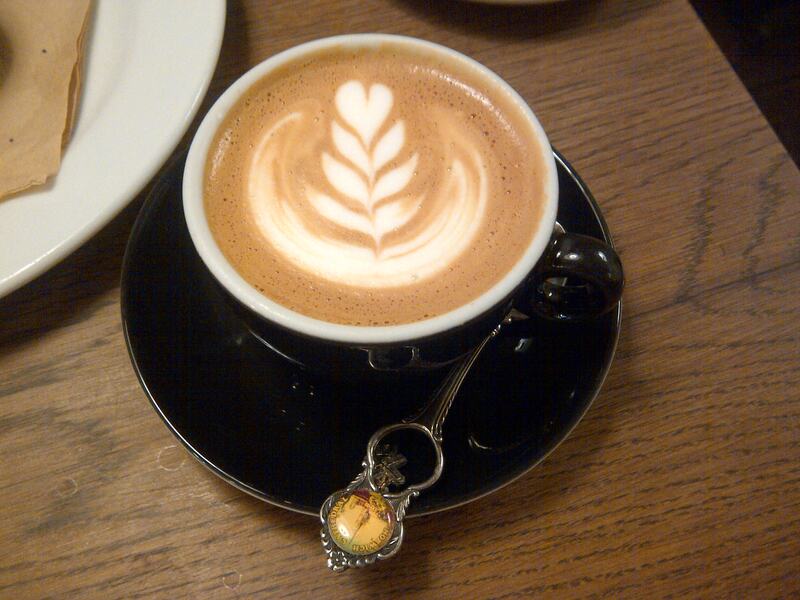 This is one of the best flat whites in London and it comes served with a retro crested teaspoon. They also have a good range of baking and sandwiches.